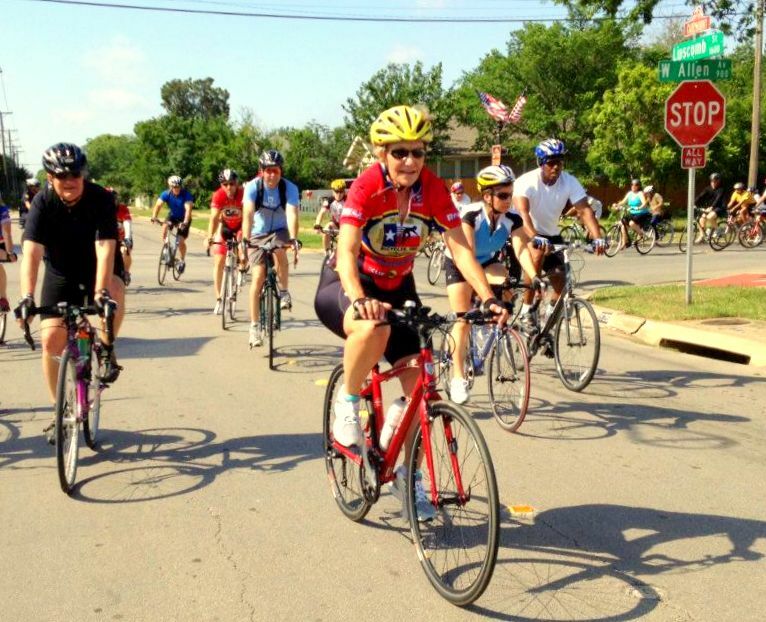 Mayor Betsy Price, an avid cyclist for 25 years, stages weekly bike rides throughout Fort Worth to meet and greet her constituents, listen to concerns of residents and to gather ideas on how to improve the city. She is usually accompanied by scores of cyclists – people of all ages and cycling ability on all kinds of bikes. The mayor’s next rolling town hall is scheduled for Wednesday evening. The start and end point will be LaGrave Field, home of the Fort Worth Cats baseball team on the near north side. Cyclists are asked to gather for a ride start at 5:30 p.m. After the ride around the north side, the cyclists can attend the Cats season-opening game, beginning at 7:05 p.m. Ride participants will be able to buy a game ticket at a reduced price of $7, and cyclists who come to La Grave Field by car will be offered free parking. “I’ll be throwing out the first pitch, too, so keep your helmets on,” the mayor wrote on the city’s website. A fireworks show will follow the game. Baseball and bikes! Sounds like a splendid way to a spring evening. NOTE: The mayor’s spokesman, Jason Lamers, has posted the route of Wednesday’s 10.73-mile ride on MapMyRide. Hey, that’s me (in black at left) riding with the mayor on Saturday.